Karate is said to have many enthusiasts around the world. The sport has also been made an official event at the 2020 Tokyo Olympic Games. It is said to have originated in Okinawa, with a history dating back to the time of the Ryukyu Kingdom. 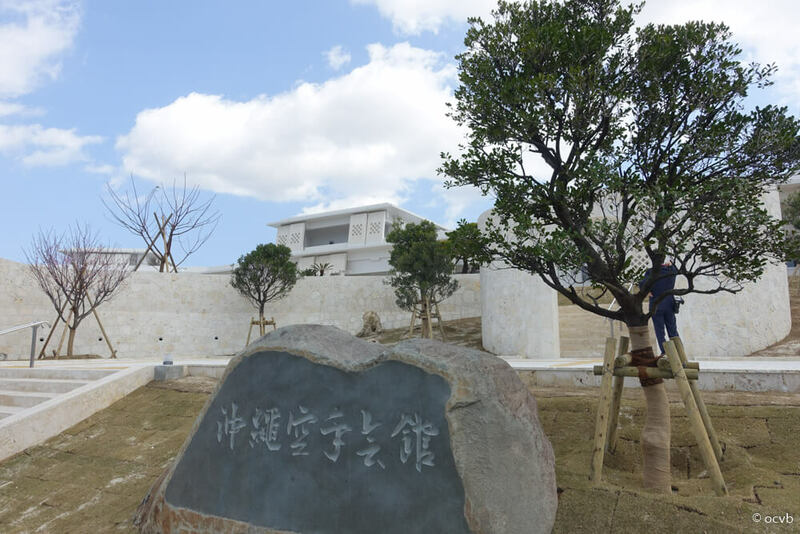 As well as preserving, inheriting, and developing the unique culture of Okinawan karate, the Okinawa Karate Kaikan was opened in March 2017 to teach people from all over the world about the essence of karate. 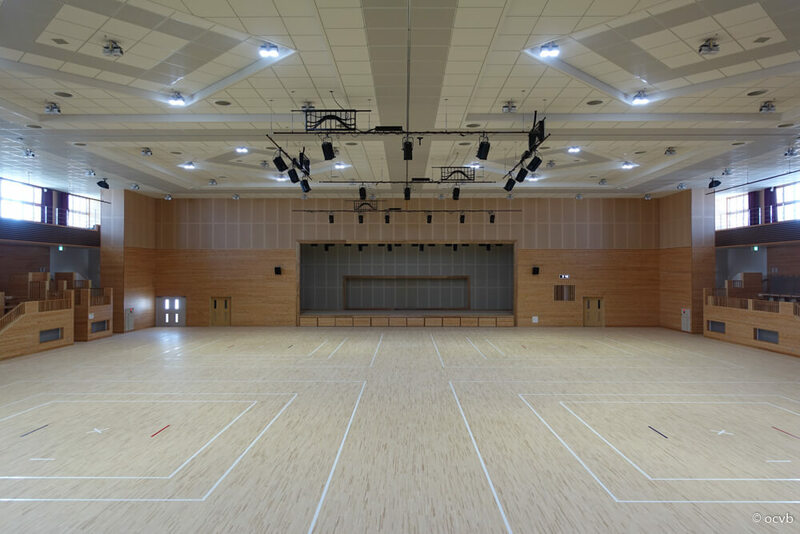 Let me tell you about the main features of the Okinawa Karate Kaikan. Within the facility there is a room filled with objects relating to Okinawan karate. 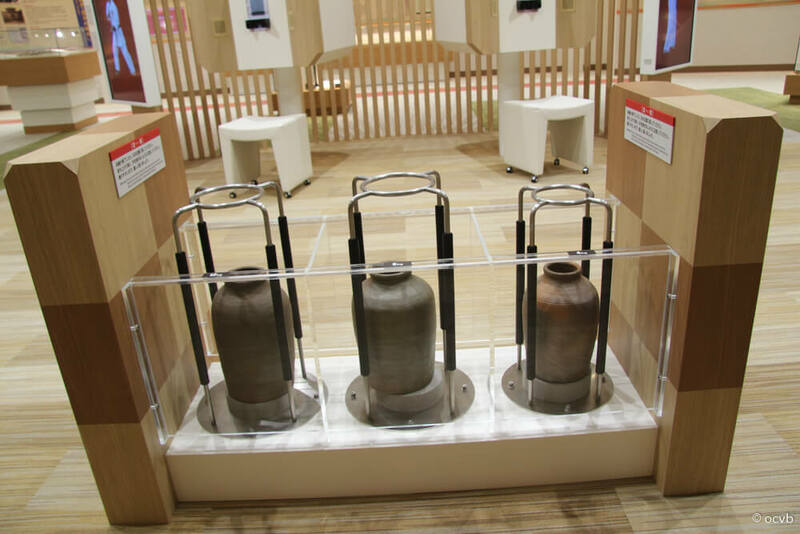 The contents featured in this exhibit range from books to nunchucks and iron geta shoes used during training. 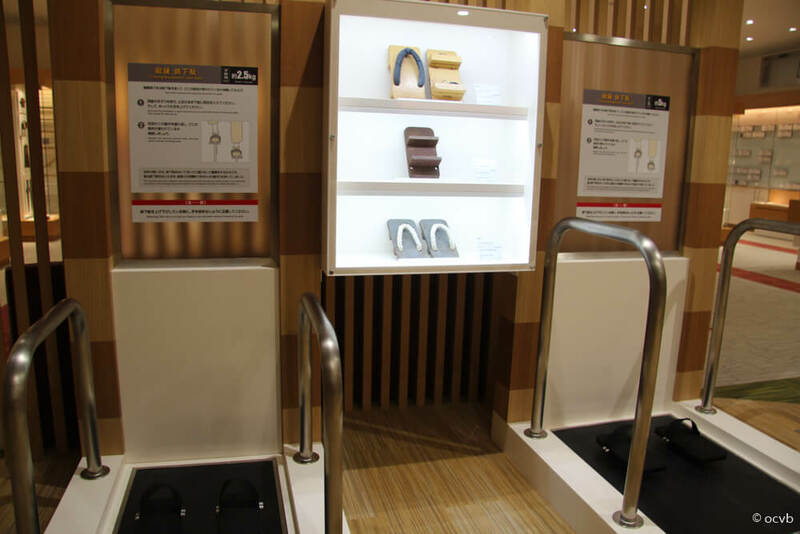 There is also a training corner where you can have fun learning Okinawan karate in a traditional karate dojo. ※ There is a fee to enter the exhibit and photography is prohibited. There is also a video which teaches you about the origins of karate and the schools. 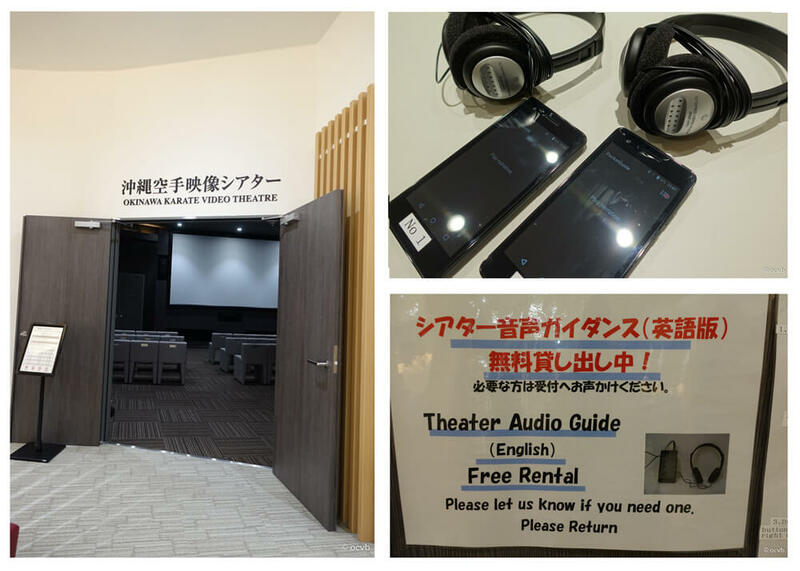 ※ Audio guides are available in English and Chinese. Along with the exhibit there is also a reading room which is free to enter and contains books on karate. 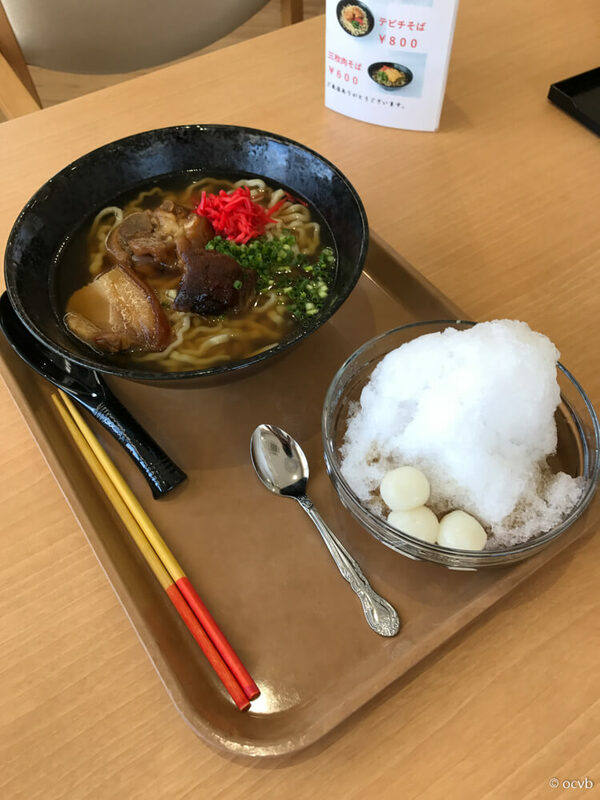 The facility has a soba restaurant called “Hand,” where you can enjoy “Karate Soba,” an original dish made with boned rib, Okinawan-style stewed pork ribs, and pig’s feet. In July they also began selling “zenzai,” which is a type of soup made with Azuki beans, so visitors can now enjoy a dessert afterwards. 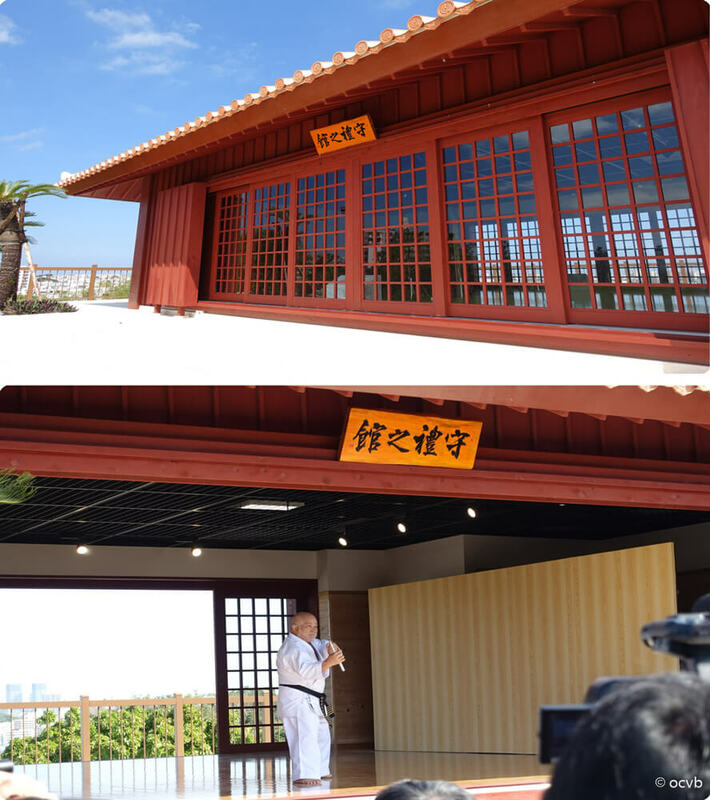 Next to the exhibition building there is a special dojo where performances are held. 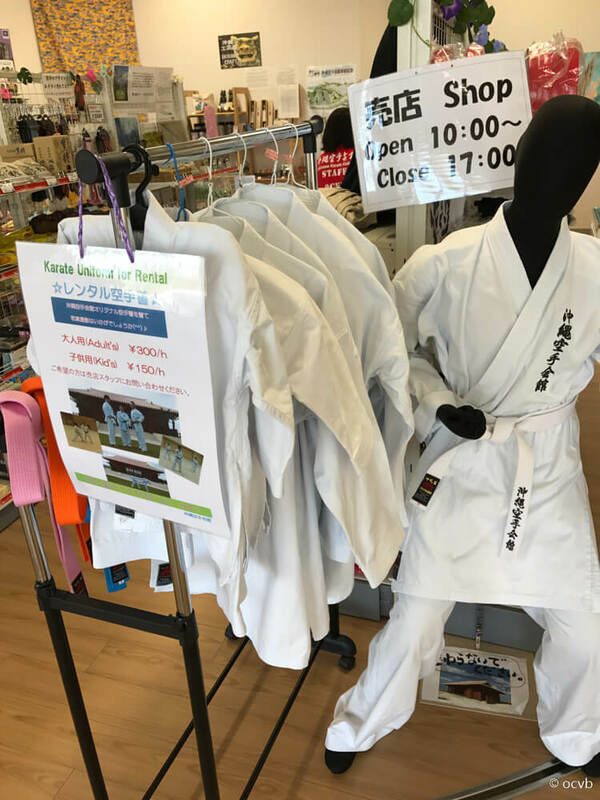 The Okinawa Karate Kaikan also offers visitors the opportunity to rent a karate uniform known as a “Karategi,” and have their photo taken while wearing it. 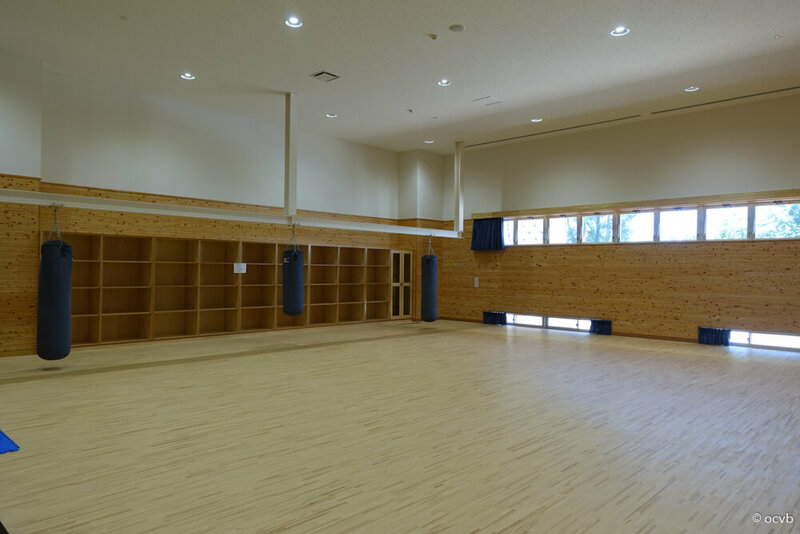 As well as the facilities mentioned above, the Okinawa Karate Kaikan also has a fully-functional dojo and training room. 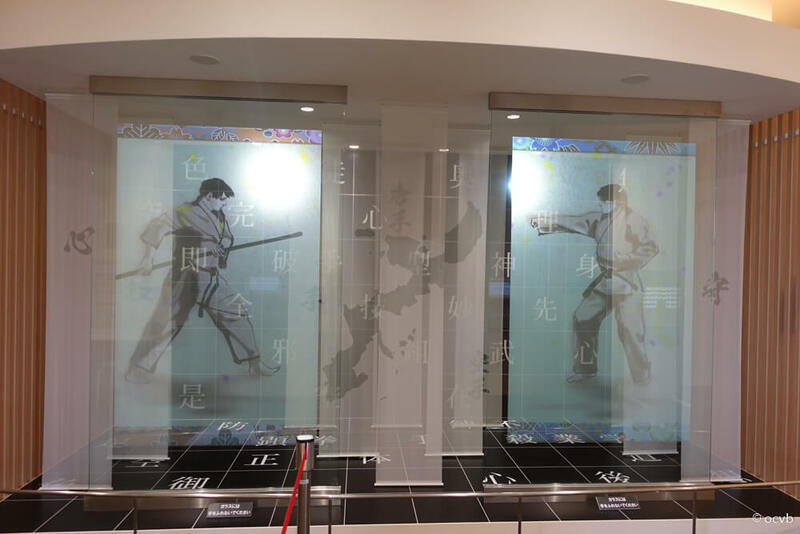 Why not come and study the history of karate at the Okinawa Karate Kaikan? Treat Yourself with SUP Yoga and be Soothed by the Power of the Ocean!